A good friend has the most delicious cucumbers in her garden and she knows that I am obsessed with them. So when she texted me this past week that she had some available I jumped at the chance to get some. And as you can see, I'm not the only ones that love them. 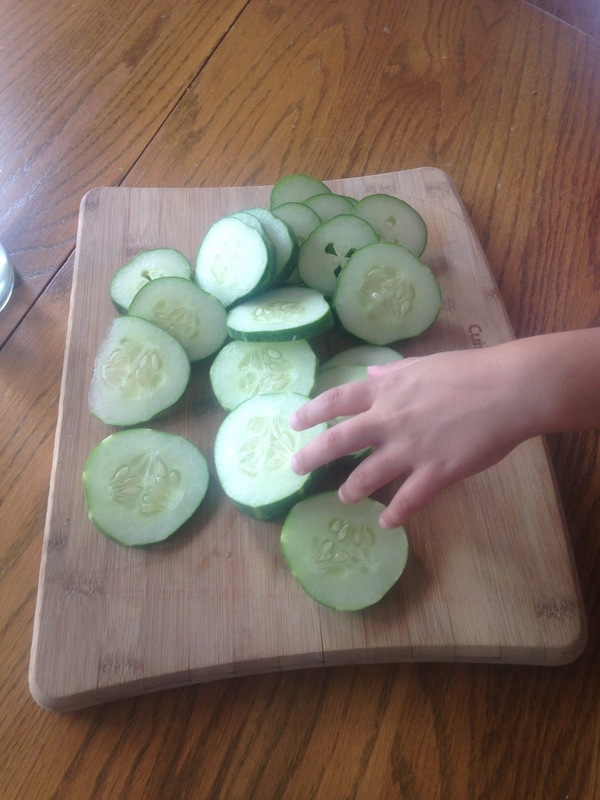 It's about a cucumber a day in this house! She also threw in blueberries, cabbage, squash, tomatillos, herbs, fennel, chard, and green beans. 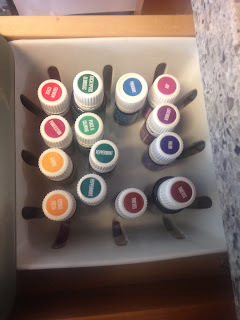 I organized most of my oils with the nifty stickers my dad ordered me. He's been selling young living since WAAAAAAAAY before it was cool. Sorry we use to make fun of you dad! Clearly these are awesome! I decided to switch my school room back into a dining room. About 30 loads of books to the basement later for storage down there and I could barely bend for two days. 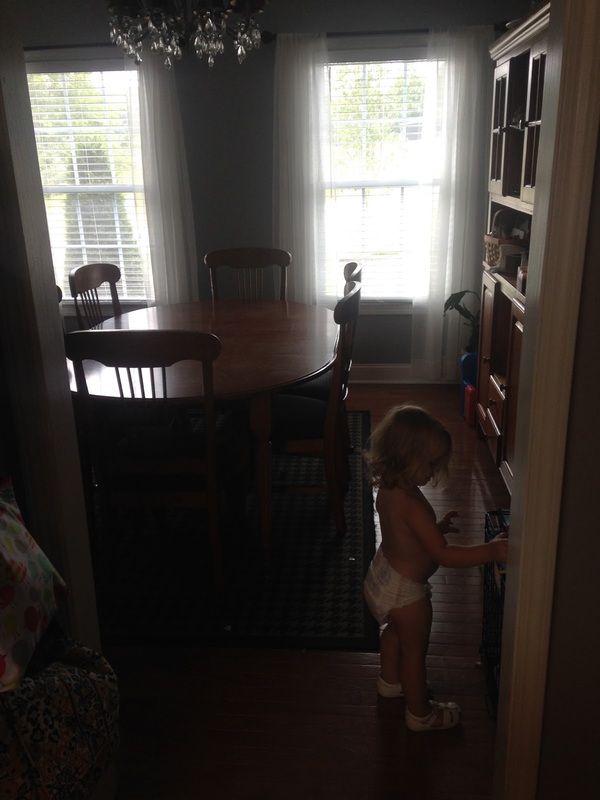 And yay for nekked babies that insist on wearing shoes. SCORE of the week. 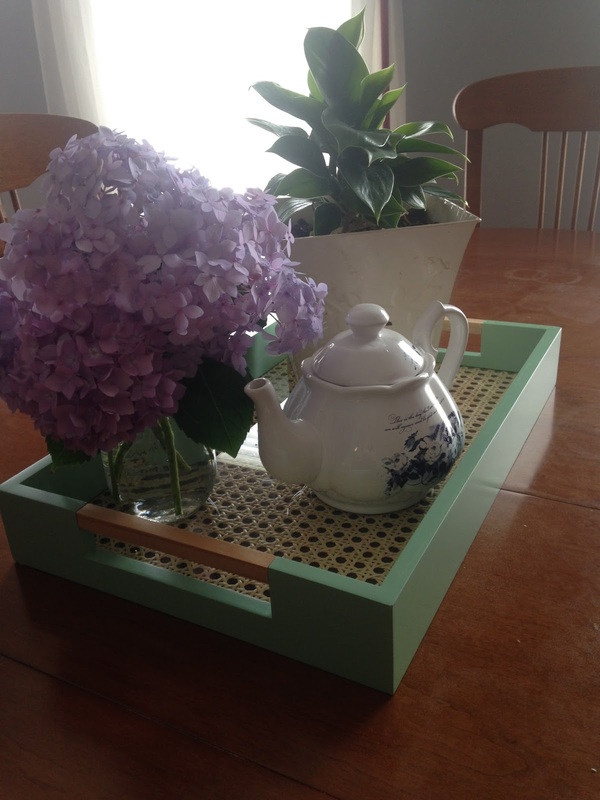 This tea tray was EIGHT DOLLARS at Target this week. Orginially $29.99. Woohoo! This is my favorite season and I am just loving all the fresh food and warm days. Please Winter, just stay away!